When dealing with PDFs that contains sensitive information, it is advisable to use PDF encryption. 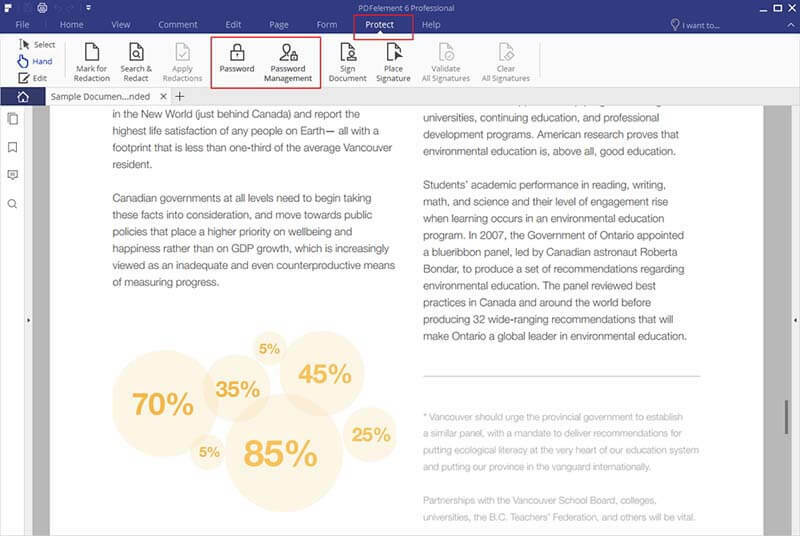 This prevents an unapproved person from accessing confidential information in your PDF. You can also restrict printing, editing, and copying of content. In this article, we'll cover how to encrypt a PDF with PDFelement . Unsure of which encryption software to use? PDFelement is the ultimate tool to encrypt your PDF file. It comes with a great user interface that enables you to add a password for opening files. This software also enables you to create a password that will grant permission to editing, printing and modification of your PDF. This powerful PDF editor lets you remove and change a password if desired as well. You can check the permission and security properties of the PDF under the properties icon. 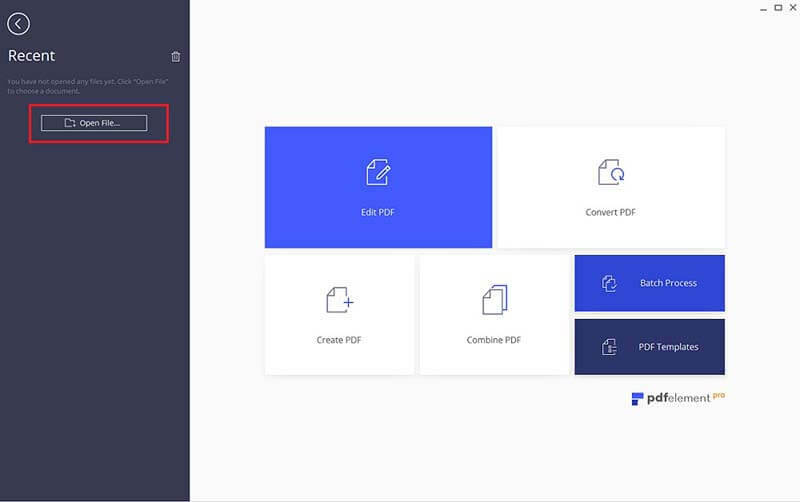 After opening PDFelement, open the PDF file by clicking on the "Open File" button under the "File" tab. Find and select your desired PDF file. After your PDF is opened in PDFelement, navigate to the "Protect" tab. On the submenu, hit the "Password" button to activate the Password Security window. 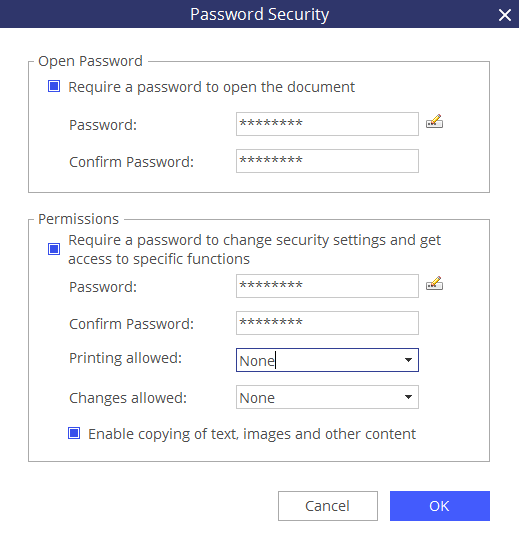 Select "Require a password to open the document" to create a password of your choice. You'll need to re-enter it to confirm. Next, enter a permission password under "Require a password to change security settings and access specific functions".